The Eck Visitors Center, located on Notre Dame Avenue, offers not only a meeting and resting place for visitors, but also provides an intriguing look at the University's history. In addition, our auditorium offers a 12-minute DVD movie that chronicles Notre Dame's tradition and commitment to excellence. 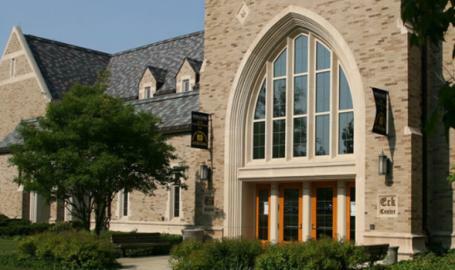 Visitor Center tour offers a general historical and social overview of life at Notre Dame.